Apple will officially reveal the new iPad Pro models on September 12, but some high-resolution CAD renders already got leaked, confirming the rumored thin bezels and lack of audio jack. These new models will not integrate the rumored OLED screens; however, they will get new True one IPS displays with FaceID technology. 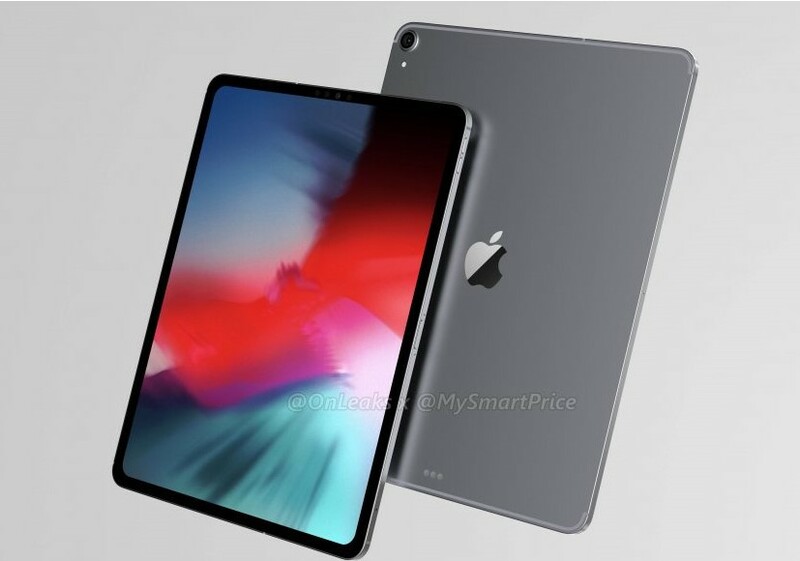 Apple’s new iPad Pro models were already rumored to land in September 2018 with thinner bezels and no headphone jack, and these aspects seem to be confirmed in the latest leaked CAD renders from MySmartPrice. The renders also reveal a few new specs. The 12.9-inch and 10-inch iPad Pro models scheduled to be released this September will not feature the home button anymore, making room for thinner bezels on the new True Tone IPS LCDs. Apple’s Face ID technology will also be integrated in the display, with the 3D camera housed in the thin upper bezel instead of a special notch. Users might miss the 3.5 mm audio jack, but Apple is trying to compensate this design omission with 4 surround sound speakers mounted in each corner of the device. MySmartPrices claims that the 12.9-inch iPad Pro version will have a smaller overall size (11 x 8.46 x 0.23 inches) compared to previous models with similar screen size. The overall thickness, including the external camera bump, was reduced to 0.3 inches. Apple thought it wiser to place the smart connector for add-on devices like keyboards on the charging port side, forcing users into portrait mode only. However, rumor has it that Apple made this change because Face ID does not work in landscape mode. More details will be released on September 12, when Apple will present the new iPad and iPhone models.